Stop living with leaks and start living leak free. Lets just start off and say drum traps were a terrible design. Most the time bathtubs would get clogged after the drum trap. Cleaning the drain though the drum trap would create headaches with broken pipes and drum trap covers that wouldn’t recreate a tight seal. It’s important to have that tight seal because otherwise the water would leak out from the drum trap cover. 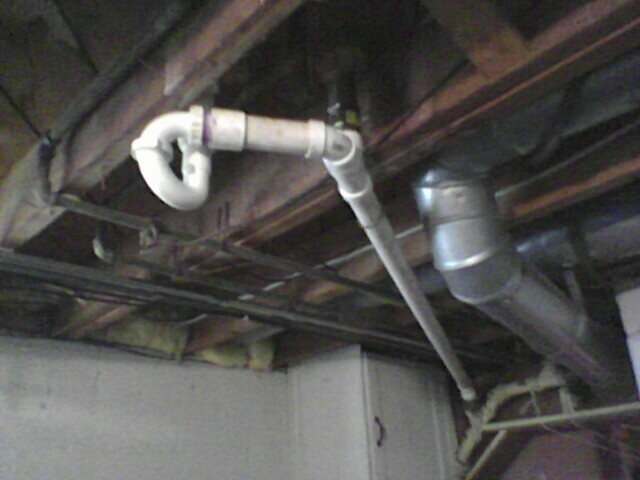 As drum traps got older and older plumbers started to slowly replace them with PVC p-traps. PVC was discovered in the 1800’s but never really used until the 1900’s. PVC is known to be stronger then cast iron and galvanized pipes. PVC has it’s own issues flaws as well. For instance if you install PVC in a very cold space make sure you insulate properly just in case. P-traps are now what every new house installs. Even though cast iron lasted over a hundred years, the bottom line is that PVC is cheaper and gets the job done faster. My personal opinion is that we would still be using cast iron pipe if it weren’t so expensive and hard to install. Buy as every contractor knows it’s all about price and quality work. Call Hiawatha Plumbing today to help you unclog, or install your bathtub p-trap.